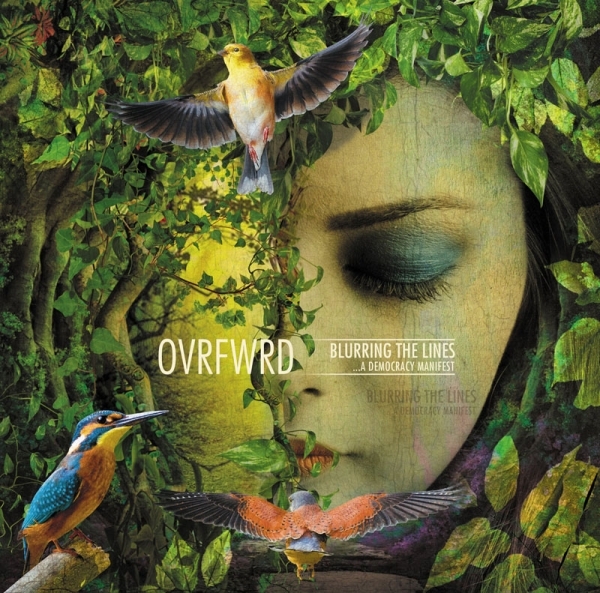 Ovrfwrd is a 4 piece Minneapolis, MN all instrumental progressive rock band, formed in late 2012. The band‘s third studio release, Blurring the Lines (a democracy manifest)(2018) takes things to another level, with new compositions and creative studio production. The band continues to experiment its instrumental music by exploring different kinds of styles from Progressive Rock, Jazz Rock, world music and classical. In the same song, you can expect a surprising twist around the corner, a special groove. They can cover different moods from the more heavier passages to the light ones using piano and sitar and not only modern instruments. Often compared to King Crimson, that is mostly accurate for the rhythm section which is similar to the 90‘s King Crimson than for the guitar style of playing. There are so many highlights in this 50 minutes plus album that it would be a waste of time to analyze every song, you can‘t skip a song, it will keep your focus from the beginning to the end. For those who enjoy an eclectic or fusion kind of heavy prog and don‘t mind the absence of vocals. Why ruined this beautiful music with vocals!